These privacy policies and confidentiality apply to provide protection to the user of the website belonging to WDA INTERNATIONAL LAW FIRM (www.wdalaw.com). The use of or browsing by any person of the website will be referred to as USER engagement. Contact details contained in confidential information, are used to provide the user with a personalized service according to the user needs, where appropriate, providing and/or sending information on the legal service that requested by the user. 4. – Confidentiality of information. WDA INTERNATIONAL LAW FIRM agrees not to share with third parties NEVER any contact information provided by the USER and agrees to handle this as strictly confidential. Despite its policy of not disclosing personal information, WDA INTERNATIONAL LAW FIRM may at its sole discretion upon request of a legal authority in the area of jurisdiction. According to what explained above, the user understands and agrees that this policy does not apply to information provided by the user voluntarily to communicate with others through emails, phone calls, faxes, etc. or information shared by the user directly with WDA INTERNATIONAL LAW FIRM acting as a law firm. 5. – Modify / update / delete your personal information. The contact details provided by the user could be part of a file only if USER later decide to hire legal services of WDA INTERNATIONAL LAW FIRM. should the user not require legal services of WDA INTERNATIONAL LAW FIRM, contact details will be removed or deleted from our database no more than two years after delivery of such data in our contact form. When processing contact information, WDA INTERNATIONAL LAW FIRM is committed with our staff and mechanisms on the website to comply with safety and confidentiality standards necessary to ensure the security, integrity, and privacy of information collected from users on our site on the Internet. WDA INTERNATIONAL LAW FIRM will take reasonable steps to allow the USER to eliminate contact details of the WDA INTERNATIONAL LAW FIRM database upon request; the data at the request of the user be removed not later than 2 working days from request receipt. 6. – Protection of personal information. The information provided by the user is protected by various security mechanisms. 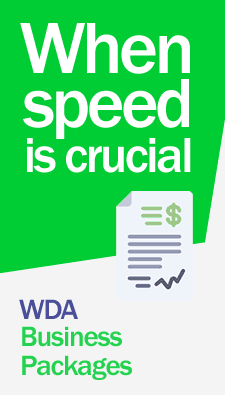 WDA INTERNATIONAL LAW FIRM will make every effort to monitor and care for such data. but even so in cases of force majeure and the Internet, there is nothing 100% sure and user share the risk of being a victim and so would WDA INTERNATIONAL LAW FIRM in the event an unauthorized third party irregularly usurp the information held by WDA INTERNATIONAL LAW FIRM. 7. – Acceptance of the terms.